InterContinental Hotels Group PLC (“IHG”) announces the retirement of Mr Ralph Kugler as a member of the Board and Chairman of the Remuneration Committee. Mr Kugler will be replaced by Mr Luke Mayhew, effective from 1 July 2011, who will serve as a Non-Executive Director and Chairman of the Remuneration Committee. Luke is currently a Non-Executive Director and Chairman of the Remuneration Committee of Brambles Limited, a provider of supply chain and information management solutions, which is listed on the Australian Stock Exchange. His previous experience includes twelve years on the Board of the John Lewis Partnership, the latter five years (2000-2004) as Managing Director of the Department Store division, five years at British Airways PLC and, seven years at Thomas Cook Group PLC. He has also previously held non-executive roles at WH Smith PLC and at Pets at Home and Bank Stores where he served as Chairman. David Webster, IHG’s Non-Executive Chairman commented, “Ralph has been a highly valued member of the IHG Board for over eight years and in particular, his work as Chairman of the Remuneration Committee has been exemplary”. Regarding Luke Mayhew’s appointment, Mr Webster confirmed, “I am very pleased that Luke has agreed to join the IHG Board and to chair the Remuneration Committee. His experience including his tenure at British Airways as General Manager, Human Resources and his current chairmanship of the Remuneration Committee at Brambles, will be extremely positive for the Group. I very much look forward to working with him”. Mr Mayhew will also serve as a member of the Corporate Responsibility Committee and the Nomination Committee. Hong Kong-based New World Hospitality hotel Management Company has signed a purchase and sale agreement to acquire Rosewood Hotels & Resorts, L.L.C., a privately held ultra-luxury hotel management company based in Dallas, Texas, USA, from current owners Rosewood Corp. and Maritz, Wolff & Co. The closing date for the USD229.5 million purchase is 29 July 2011. 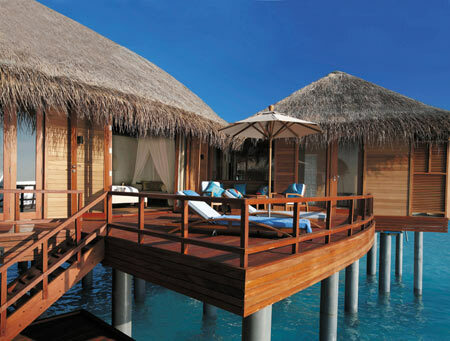 Rosewood Hotels & Resorts will operate as the premium luxury brand in New World Hospitality’s portfolio. With New World Hospitality’s support, Rosewood Hotels & Resorts, a recognised leader in luxury hospitality, is now poised to elevate its properties to even higher acclaim and expand its reach into new international markets. This development heralds the latest stage in the evolution of Rosewood Hotels & Resorts, from the 1979 opening of its flagship property, Rosewood Mansion on Turtle Creek in Dallas, to a collection of 19 properties in eight countries that includes some of the most legendary hotels and resorts in the world. New World Hospitality management will share more information upon completion of the acquisition transaction. Agoda.com, Asia’s global hotel booking site and part of Nasdaq-listed Priceline Group of Companies. It has teamed up with resort operator Sol Melia to offer discounted room rates across Europe this summer. Sol Melia is one of the world’s largest hospitality chains, with more than 350 hotels in 35 countries, and properties in all major European cities. Agoda.com has secured special hotel rates at selected Sol Meliá properties, offering customers significant summer savings during Europe’s peak travel period. Summer across Europe heralds the festival season, when live concerts transform empty paddocks into mosh pits and historic town squares into theaters. One major event this summer is Berlin’s Classic Open Air in the Gendarmenmarkt. This July, the orchestral extravaganza celebrates its twentieth year with a program of German and Italian opera, jazz, and pop, plus fireworks and laser light shows. In London, more outdoor music awaits with Notting Hill Carnival in August. Filling the streets with music and colorful costumes, this is London’s biggest street parade. Also in London: Hampton Court Festival with Bryan Adams, James Blunt and more, plus Hard Rock Calling in Hyde Park with Rod Stewart, Bon Jovi, and The Killers. Paris, as always, is a must-see summer destination. 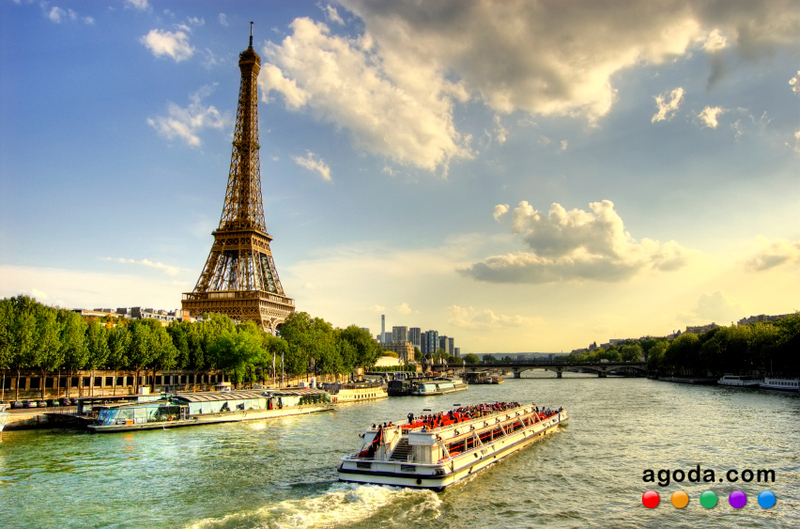 The warm weather is perfect for cruising down the Seine River, while June ignites the fervor of the Paris summer sales. Athens, too, comes to life in the summer months, especially during the Athens Festival, Greece’s biggest celebration of the arts, with music, theater, and culture-filled events. As far as European destinations go, Spain is literally a hot destination. Summer in Madrid sees the temperature climb, providing the perfect conditions for street-side tapas and cold cervecas. Special summer events in Madrid include the Vallecas Naval Battle – a high-spirited water fight that whips the Vallecas district into a frenzy – and White Night in Madrid when live music, food stalls, theater productions, and public art fill the streets from sunset to dawn. To celebrate these unforgettable European events this summer, agoda.com customers can book a special rate at the following Sol Meliá properties. Stunning historic hotel next to the royal palace and gardens. From USD 145 per night. Agoda.com customer rating: 6.5. Bright modern city center hotel close to metro and the Parque de la Montana. Rates from USD 182 per night. Agoda.com customer rating: 7.7. Classically-styled hotel adjacent to Regent’s Park and tube station. Rates from USD 253 per night. Agoda.com customer rating: 8.3. Hilton Worldwide announces an agreement with the Al Hamra Real Estate Development company to take over management of the Al Hamra Fort Hotel in Ras Al Khaimah, UAE. The landmark hotel and adjoining convention centre, independently operated by the owners since 1999, will open under the Hilton Hotels & Resorts brand from Q1 2013. The 249-room property is located in the Al Hamra area of Ras Al Khaimah, about 70 kilometers from the Dubai International Airport and 30 kilometers from the Ras Al Khaimah International Airport. As part of the Al Hamra development, the hotel has access to world-class golfing facilities, upscale residential and commercial areas and will be in close proximity to the upcoming Waldorf Astoria Ras Al Khaimah. “The Al Hamra Fort Hotel is one of the icons of Ras Al Khaimah, and has been a mainstay of Ras Al Khaimah’s hospitality scene for over 10 years. As Hilton Al Hamra Resort & Spa, the hotel will maintain its unique identity but incorporate the style, standards and world-class service that guests around the world expect from Hilton Hotels & Resorts,” stated Dave Horton, global head, Hilton Hotels & Resorts brand. The hotel will keep its Arabic fort-style villas but will undergo extensive renovation to enhance and update facilities. Hilton Al Hamra Resort & Spa will feature eight food and beverage outlets including an all-day dining restaurant and three specialty restaurants, in addition to a lobby lounge and three bars. Recreational facilities will include an executive lounge, private beach, water sports facilities, swimming pools, kids club, mini-golf facilities, tennis courts and a health club and spa. In terms of events facilities, the adjoining convention centre offers a multipurpose ball-room with a capacity of 800 and six meeting rooms. “As one of the first international hotel companies in Ras Al Khaimah, we have a long term commitment to the emirate. With the Hilton Al Hamra Resort & Spa, we aim to cement the emirate’s growing reputation for regional short-breaks; and give international guests another reason to choose Ras Al Khaimah as a destination offering culture, adventure and high-quality hospitality facilities,” said Rudi Jagersbacher, area president, Hilton Worldwide, Middle East & Africa. Hilton Worldwide now has 52 properties across the Middle East and Africa – seven of which have opened this year – including 10 hotels operating in the UAE. It has 35 hotels in the pipeline including the first Waldorf Astoria in the UAE – Waldorf Astoria, Ras Al Khaimah. To celebrate the Conrad Hong Kong’s participation on The Bachelorette, which airs on ABC Monday night, June 27, Conrad Hotels & Resorts is providing one of the four grand prizes offered as part of “The Bachelorette Ultimate Getaway Sweepstakes” that launched May 23rd on ABC.com. Fans can enter for a chance to win until August 7, 2011. The luxury hotel brand is offering one lucky winner and his or her date a seven day/six night stay, Dream Date excursion, $3,000 spending cash and complimentary airfare to any one Conrad resort around the world. 2. Take in the magnificent views of the Hudson River at Conrad New York, opening this winter in the Financial District of New York City. Couples can get their adrenaline pumping with a Big Apple helicopter tour of the city during the day and continue to see the sights with a sunset drink on the hotel’s rooftop bar by night. 3. Enjoy contemporary luxury in the center of a historic city at Conrad Istanbul. Couples can begin their day by visiting a plethora of historical sites with a customized, private-guided tour. Relax and renew after a day of sightseeing at a renowned Turkish bath, complete with full-body massage. To enter the “Bachelorette Ultimate Getaway Sweepstakes,” and for official rules including full details and prize restrictions, visit “The Bachelorette” section of http://www.abc.com and click on the “The Bachelorette Ultimate Getaway Sweepstakes” image. The sweepstakes is open until August 7, 2011. No purchase necessary. The Bachelorette airs on Monday’s at 8/7 Central on ABC. Your Wedding Day may seem but a faraway fantasy for those who are yet to pop or be posed the ultimate question. Alleviating the pressure of creating, concealing and then delivering an extraordinary marriage proposal, Anantara Hotels, Resorts & Spas presents unexpected scenarios that are luxuriously surprising, cleverly clandestine and truly one of a kind, in the most romantic destinations on earth. Mastermind a legendary proposition at Anantara Golden Triangle Resort & Spa in northern Thailand, commencing with a unique arrival experiences by boat and concluding with a baby elephant ring presentation. From the nearby historic town of Chiang Saen, a traditional welcome aboard a longtail boat takes the couple along the Mekong River towards a landmark golden Buddha and onto the convergence of Myanmar, Laos and Thailand, where passage continues with a gentle elephant trek through 160 acres of vivid jungle and countryside. As sunset descends, enjoy a romantic Dine by Design in any number of intimate settings; from a secluded terrace to a moonlit hilltop with three country views, or a picturesque rice paddy with baby elephant companions. Share a beautiful dinner that has been devised by the personal and await the arrival of fun loving Phil, the baby elephant who will be assisting in the romantic events of the evening. With the mother nearby and her mahout carer’s help, baby Phil will do his best to offer an elegant bouquet of flowers in his trunk or a bow-tied gift box around his neck with the engagement ring hidden inside. All that remains is to pop the question! At Anantara Kihavah Villas, unforgettable Maldivian impressions invite a proposal that seems exceptional even in the world’s greatest paradise. Sea. Fire. Salt. Sky. signature dining experience is a unique under and over water gastronomic concept featuring four remarkable venues, each offering a different cuisine that is as unique as the perspective. Descend to Sea’s secretive depths, where a sole table awaits in the underwater restaurant, and only a circular glass wall separates guests from the mesmerising marine life of the Indian Ocean. Savour a connoisseur journey that transforms freshly caught local seafood, exotic island produce and rare imported delicacies into an intensely mouthwatering menu to be paired with selections from an enviable international wine collection. Then with graceful sea creatures as an audience, present the engagement ring in a coconut shell filled with Maldivian sand and a beautiful coral from the beach. Alternatively in Thailand, swim into a hidden world reminiscent of the film “The Beach” and emerge into an epic engagement scene; not courtesy of an underwater proposal, but with an offer of marriage pronounced on hidden sands that can only be reached through a mysterious swim-through cave. At Anantara Si Kao Resort & Spa, just an hour south of Krabi in Thailand, the Andaman’s innocent beauty reveals authentic gem islands. Set off bright and early across the Andaman Sea, heading for the resort’s private Koh Kradan island beach club. Stop off at the Emerald Cave en route. Let the crew drop anchor by the beautiful sheer cliff-side, then jump overboard into warm, clear turquoise waters. Follow the guide as he shows the way into the cave, and as it becomes a dark channel, torches are turned on to illuminate the mysterious journey. Glimpse the first sunrays breakthrough in the near distance and swim towards the daylight where a tropical beach is enclosed by a vertical cliff face. Here an exclusive champagne picnic is laid out on the golden sand, while an abundance of natural hiding places provides endless ideas for where the engagement ring can be concealed. ETOA welcomes this initiative to promote tourism between South America and Europe. The principle of “encouraging cultural tourism” is exactly the right initiative to appeal to all long-haul origin markets. We particularly appreciate that the private sector has been encouraged to participate. We look forward to helping ensure the success of this scheme. Visas are a major problem for inbound tourism. ETOA’s Visa Survey revealed that 21% of all visitors who book vacations in Europe cancel because of problems associated with obtaining a visa. This is equivalent to over 500,000 tourists lost, or €1 billion in lost revenue. This does not take into account those dissuaded from booking in the first place. Visa application The prospect of completing a visa process is a daunting one for a potential visitor. Anyone wanting to come to the Schengen area from, say, China may have to make an appointment at a visa processing centre (which can be 500 miles away), complete a form in a European language (not just a foreign language, but a foreign script), be photographed and fingerprinted (a process associated with criminality) and then interviewed. They are then charged €60, with no guarantee of being granted a visa. The processes related to UK and Ireland visas are even more problematic. Visa processing Almost as problematic is the turn-around time and the apparent inconsistency in decision-making. Turnaround is anything from five days to thirty, depending on the consulate. Applicants with apparently identical paperwork are accepted in one consulate, not in another. Applicants are often left in suspense, not knowing whether or when their visa is to be issued, right up to departure date. This is a poor welcome to Europe. 2011 has seen the introduction of an accommodation tax in Rome and a similar levy will come into force in Florence and Venice as of the 1st July. These charges add up when you multiply nights, people and star ratings (€128 for a family of four staying eight nights in 4 star hotels in Italy). Our biggest objection has been the procedural aspects of these taxes. Very poor consultation, a haphazard method of collection and a lack of due notice (less than a month in the case of Venice) creates major difficulties for the industry and its consumers. Clients buy their vacations up to a year in advance: this places hotels in a role of imposing a retrospective charge on a product which has been pre-sold. This is the most significant issue financially for EU-based tour operators. The problem is not to do with the levels of VAT within the EU, but the way VAT is applied to tourism products, especially exports. The price for a vacation to any EU destination sold by any EU-based operator includes VAT on the margin between the cost of the components and the price charged to the consumer. This does not apply to an operator based outside the EU. This margin is not profit. It contains everything not directly supplied by another company. All in-house supplies and all staffing are taxed under TOMS, as are agents’ commissions, marketing, sales costs. These expenses are the process of adding value. TOMS is thus a tax on the investment necessary to deliver valuable visitors to the EU, as well as a tax on intra-EU visitors. Outside the EU, TOMS it is not collectable and so not paid. Today, nearly all operators that sell EU destinations to consumers are based outside the EU. Only the B2B sector is well represented in the EU. As this tax is on “services supplied in the EU”, all non-EU holidays sold in Europe (say, to Turkey or to Florida) are untaxed. Thus the effect of TOMS is both to promote non-EU destinations, and to encourage businesses to move offshore. Mr Tajani was very receptive to these points, stressing once again the importance of tourism to the European economy as a whole, while highlighting the complex role he has in dealing with 27 different nation states and many different departments with the European Commission. 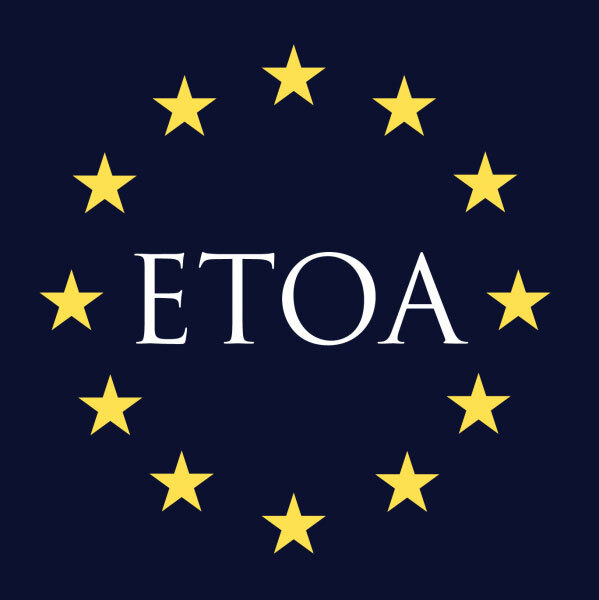 ETOA has offered its support and advice and are willing to help in any way we can to help his department in achieving its goals for ensuring Europe remains competitive as a tourist destination in the 21st Century.